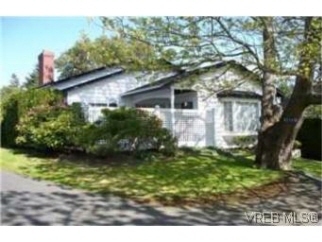 Description: Beautiful 3 bedroom, 1700 sqft rancher located in cadboro bay village. This home is sure to please you for years to come. Enjoy the private fenced yard, front patio, 2 car garage, bright open kitchen, large master bedroom with ensuite, and a separate dining room, perfect for entertaining. The large skylights throughout allow lots of natural light into this home. This is a great townhouse/condo alternative, just minutes from gyro park, and cadboro bay village. Additional Features and Amenities Other: App: Central Vac/Equip, App: Dishwasher, App: Electric Garage Door Opener, App: F/S/W/D, App: Garborator, App: Range Hood, App: Security System, Bedroom-Lev1: 10x10, Bsmt: Crwl Space, Cons: Frame Wood 2x6, Din-Lev1: 13x09, Elem School: 61 Frank Hobbs, Ext Fin: Vinyl Siding, Ext: Fenced Yard/Full, Ext: No Step Entrance, Ext: Patio, Ext: Private Prop, Ext: Sprinkler Underground, Found: Concrete Poured, Fp: 2, Fp: Family Rm, Fp: Natural Gas, Fuel: Electric, Fuel: Gas, Heat: Baseboard, High School: 61 Mt Douglas, Int: Blinds, Int: Dining Area, Int: Family Room On Main Floor, Int: Flrs/Lino, Int: Laundry Area, Int: Sep Dine Room, Int: Skylights/Light Pipe, Int: Wndw/Bay, Kitch: 1, Kitch-Lev1: 13x09, Laundry-Lev1: 14x05, Liv-Lev1: 15x15, Lot Desc: Level, Lot Desc: Private, Lot Desc: Treed, Middle School: 61 Arbutus, Mstr-Lev1: 13x12, Other-Lev1: 10x06, Roof: Asphalt Shingle, Waste: Sewer, Water: City/Munic.